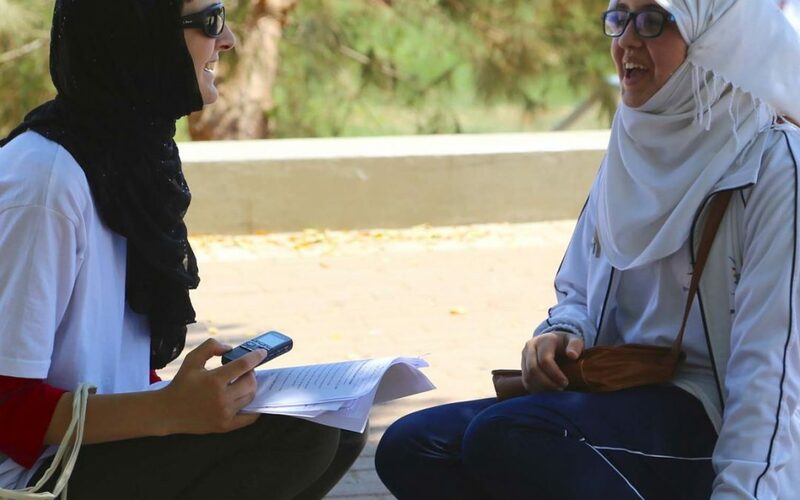 In August 2014, Generations For Peace (GFP) was proud to celebrate the conclusion of the first year of GFP’s Violence in Schools programme in East Amman, which used Sport For Peace to deal with issues of bullying, disruptive behaviour and violent conflict. The final ceremony, held on 22 August, included Delegates and Pioneers, HQ staff, and a group of distinguished guests (most notably His Royal Highness Prince Feisal Al-Hussein). It was a high-energy day of music, theatre performances and speeches that showcased just how successful the Violence in Schools programme was. The participants’ pride and excitement in having reached this point was clear, and the Delegates and GFP staff all looked forward to continuing the process they had begun with further school-based programming in the coming year. Questions remained, however, after the stage was cleared and the buses had departed: whom was the GFP message reaching? Where did the Target Group take their new understanding of conflict and violence after they left the GFP sessions? Did they leave this awareness and knowledge behind when the sport and art sessions were over, or did they bring it home, share it with others, and slowly begin to create change themselves? As one of the Oxford University Summer Field Researchers, I spent the two months trying to answer these questions. I wanted to know how well GFP’s content – a message of alternatives to violence, communicated through sport in the case of Violence in School programming – was cascading beyond the school walls to the Beneficiary Community. The ‘Beneficiary Community’ refers to the people in the community to which the Target Group (the selected pool of programme participants) belongs, such as parents, siblings, neighbours, extended family members, or local social figures. I wanted to know whether conversations on the subject of violence were happening between members of the Target Group and members of this wider Beneficiary Community, and if those conversations happened, what effect they had. To find out the answer, I conducted focus groups and interviews, took surveys, and observed programming visited and spoke with parents, school principals, teachers, social workers, and, of course, the students themselves. From the hours of interview recordings and piles of surveys, some critical themes emerged: first, that conversations about GFP’s message and activities were definitely happening, and second, that students’ gender made a big difference to how they cascaded GFP’s message. Boys and girls appeared to discuss GFP programmes and content with those who were neither parents nor programme participants, but the range of community members with whom the boys spoke appeared to be limited mostly to their (unrelated) friends, while girls spoke about GFP with friends, neighbours, and their extended family. Female teachers/Delegates particularly emphasised the improvement in the quality of general communication between themselves, their female students and their students’ mothers. The Delegates stated that the girls were more willing to come to them for help and advice on their personal problems. This strong link did not appear to exist between the boys and the male teachers/Delegates. As for parents, parents’ of female participants seemed to support the use of violence as a disciplinary necessity only, while parents’ of male participants were comfortable with a wider range of uses of violence. These results showed us how critical it is to include girls and women in GFP programming and to ensure that mothers are engaged and involved, not only as mothers of the Target Group students themselves but also as an important link between the programmes and the wider Beneficiary Community (including the students’ fathers and siblings). As a mother in one focus group emphasised, ‘we know our children, and we know the community.’ It is my hope that by building on the lessons learnt within this research (which is now available here) and more fully engaging such female community experts in the future, we can create a programme that will better meet the needs of an even wider audience. Now with the support of USAID, GFP is able to continue the Violence in Schools programming through to 2016, providing ongoing support to the four schools previously included in the pilot programme and expanding programming to four more schools in Irbid and Amman directorates. The USAID-supported programme focuses on improving relationships between Syrian refugee and Jordanian students in the eight schools. The full report on the research described here, including additional details and findings, is available here.